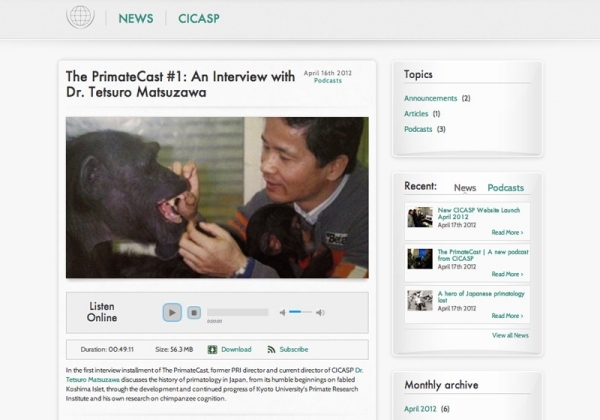 CICASP (Center for International Collaboration and Advanced Primate Studies) is the international department of Kyoto University's world renown Primate Research Institute. 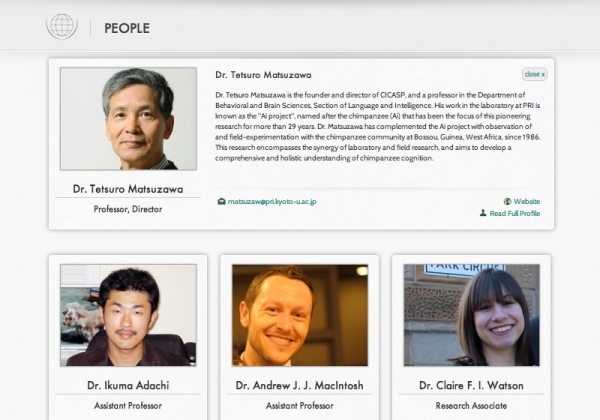 CICASP acts as a proxy for providing information about PRI to the non-Japanese speaking world, as well as the access point for academics wishing to collaborate or research at Kyoto University. 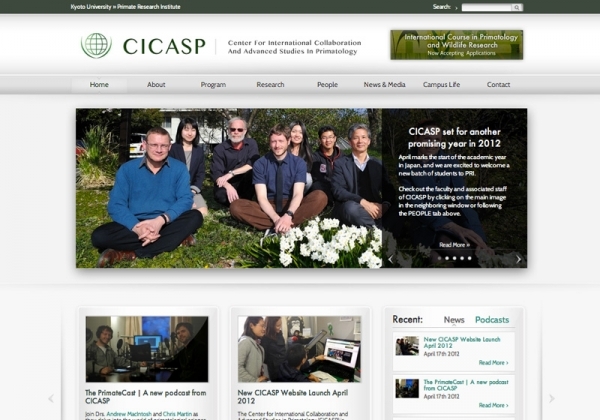 CICASP wanted a professional, clean and friendly website where they would be able to manage and publish PRI news and research, as video, news articles and podcasts. 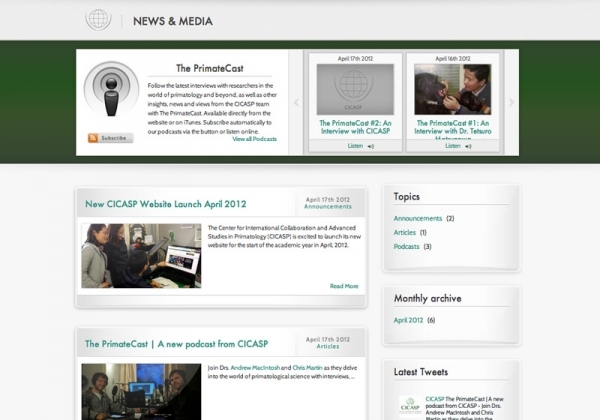 Making this information available to as many people as possible, and increasing the aware of the work at PRI. Supporting Social accounts were created on Facebook, Twitter, LinkedIn and all fed posts directly from publishing content on the website. 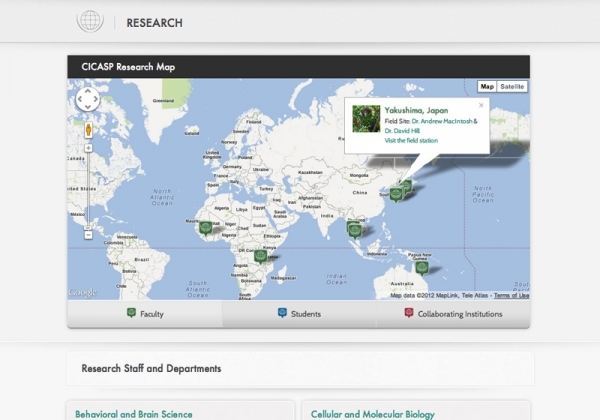 The faculty of CICASP and PRI are important for academics looking to further their research, therefore detailed profiles of CICASP members, and coverage of PRI's Japanese departments were needed, as well as an interactive map showing CICASP research around the world. 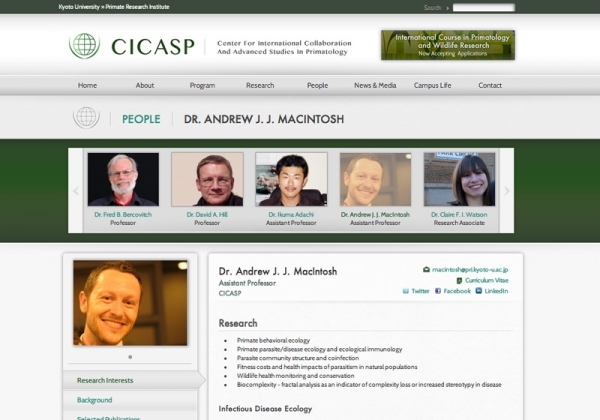 The last main ingredient was a convenient method for prospective researchers and students to contact and apply to CICASP. Previously this had to be down via downloads and email or postal submission. 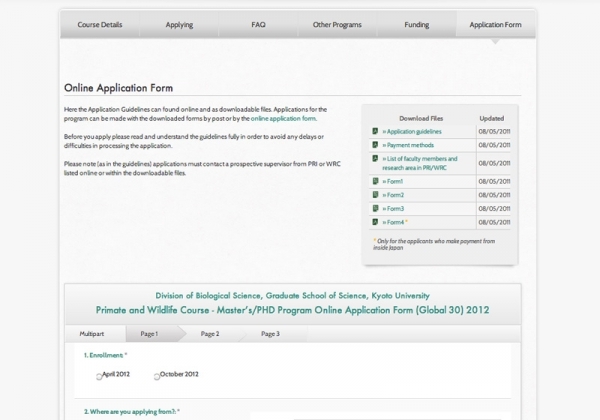 We created a multi-step online application form to mirror the procedure of the offline process, saving a lot of time for both CICASP and applicants and slashing to pieces a previous quote for a full application system.